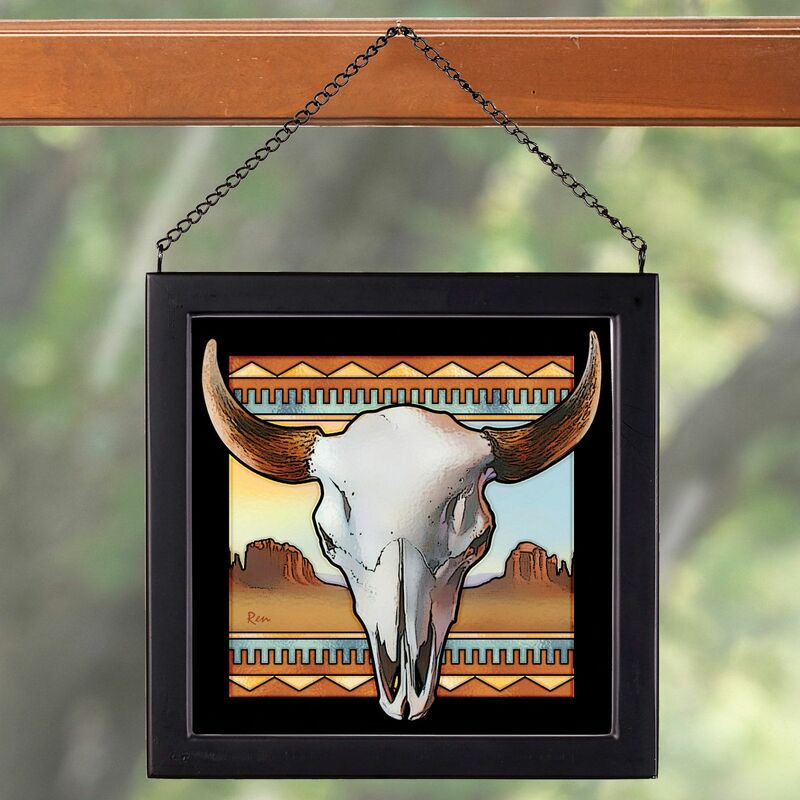 Add color and southwest spirit to windows with this glass hanging, printed in fade-resistant inks and framed in black moulding. Chain included. 9"W x 9"H. Allow 1 to 2 weeks.